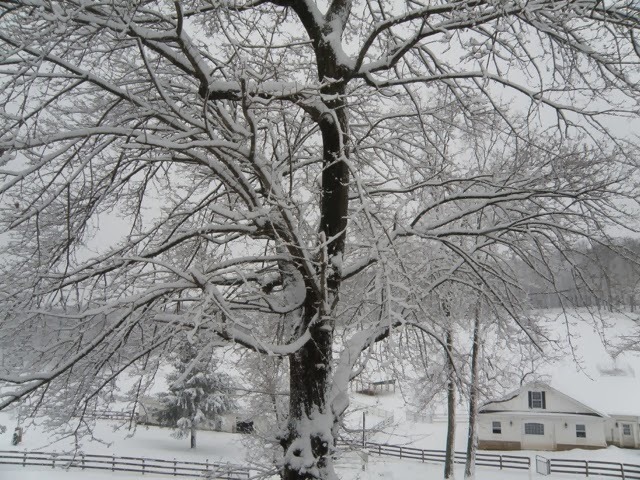 The world outside looks like a black and white photo. If you visited today, you would not think we have any animals. They are all in the white barn, garage and shelters scatter around the pastures. The angora goats have yet to step outside since it started. The Merinos obviously do not care as much. They have been pawing at the ground to expose the grass, although there is plenty of hay in the barns. 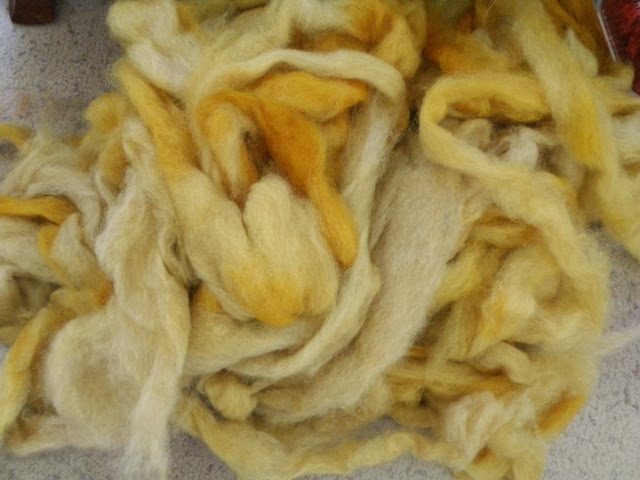 I am currently spinning some red mohair that I dyed maple sugar. My dyes from Tucson are losing their color due to the humidity here despite the jars having been securely closed. Not a very soft mohair, but plied to a chamois colored mercerized cotton it is definitely wearable. 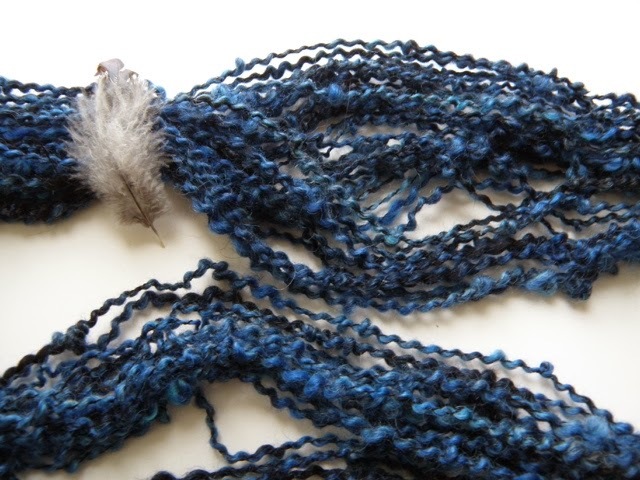 This is the last skein that I have added to Etsy. My current intern has been doing a wonderful job of showing me new tricks to use on Etsy. I have taught her to drop spindle and she is now borrowing my Schacht and spinning away. Wish I had had a good teacher when I started out. It took me three months to master the wheel. Impatient people should not try to teach! She is becoming obsessed. There is just something rhythmic about the bobbin flying around and filling up with yarn that soothes the soul. Try it, if you have not! I will be at the Chantilly Sugarloaf show this weekend. Next Monday I will be setting my shop up for three months. Next show is in North Carolina in April.